The Notso Amazon Softball League (NASL) is a not for profit, volunteer organized recreational softball league which has been in operation for over thirty years. Member involvement is important for the successful operation of the league as we rely on members to plan and implement the league. We offer a safe, inclusive and supportive environment for all to enhance learning, make connections and build community. We call this the Spirit of the League. All policies and rules are created with the "Spirit of the League" in mind and are intended keep games safe, fair fun and friendly. 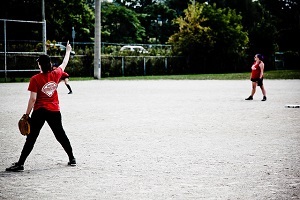 The Notso Amazon Softball League (NASL) provides recreational softball for lesbians, bisexual women, queer women, queer-allied women, and trans folks of all skill levels. The league understands trans to be a broad and inclusive term, and we invite all members who identify within the trans community Ã?Â¢?? those who are binary-identified and non-binary-identified, including genderqueer, genderfluid, intersex, and Two-Spirit individuals, among others Ã?Â¢?? to join us!